The recent discovery of the seven planets orbiting the TRAPPIST star has a lot of folks talking. As I wrote last week, even though they're labeled as "earth-like" and reside in what astronomers call the habitable zone, the idea that life could exist on them is remote in the extreme. The fact that our planet is so uniquely situated in just the right spot with just the right conditions around just the right kind of star provides strong evidence for design, like finding a cabin in the middle of an unpopulated forest. Of course, others won't admit that our world shows marks of design. Some even offer the uniqueness of the earth as evidence against its design. I had one such interaction on Facebook where a gentleman names Simeon responded to my article by saying, "The rarity of habitable planets in the universe is actually evidence for a universe not designed for human habitation." After some interaction, he went on to claim "An all-powerful deity would not need to create an entire universe to support a single planet. He could have just made a single flat Earth with a dome over it, like some of the ancients believed." He finally summarized his position by writing "I think you are demonstrably wrong that the entire universe, as is, is required to support a single life-bearing planet. There is no way for planets around a distant star to have any bearing on Earth's habitability." What Does it Take to Make a Biosphere? I don't know if Simeon holds is a theist or not; we never discussed that issue. However, I've met many atheists who argue along similar lines, holding the vastness of space as evidence against a universe created to sustain human life. Couldn't God create any old kind of universe he wanted? 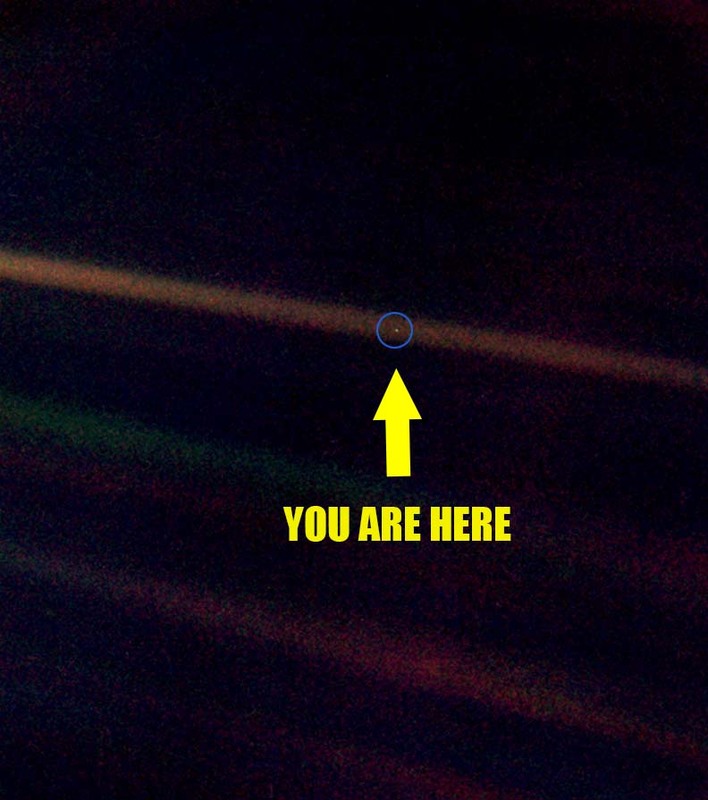 Why would he need to make the universe so big just for one "pale blue dot" as Carl Sagan put it? I think there's hubris in assuming that God can just create some kind of terrarium that holds the Earth but doesn't impact our biology and our experience. I remember being particularly intrigued at an extensive experiment to try and create a self-supporting environment that mimics the earth's in the 1980s. A group of scientists and investors built a large, airtight facility in the Arizona desert called Biosphere 2. Within it, they created a wetlands area, a desert, a rainforest, a savannah, and an "ocean" and then populated it with plants, insects, and animals. The goal was to create a mini-self-sustaining environment where people could live. If it worked here, it may have been possible to build a similar structure on another planet, making human habitation possible. I loved the idea of biosphere 2. Unfortunately, creating a self-sustaining habitat on a smaller scale than the earth itself proved to be incredibly difficult. The New York Times reported that the results of a two year experiment in sustained living were a disaster: "The would-be Eden became a nightmare, its atmosphere gone sour, its sea acidic, its crops failing, and many of its species dying off. Among the survivors are crazy ants, millions of them. "1 The paper reported how the facility was then sold to Columbia University who used it to model environmental catastrophes, instead of running tests on how to create sustainable environments. So, no, God couldn't have just made it smaller. Even if we discover there are no other truly habitable planets in any of the billions star systems across the billions of galaxies we know exist, it still wouldn't prove the universe wasn't designed for life. The interplay and complexity of the created world is a marvel to behold, and it clearly points to a Designer. 1. Broad, William J. "Paradise Lost: Biosphere Retooled as Atmospheric Nightmare." The New York Times. The New York Times, 18 Nov. 1996. Web. 03 Mar. 2017. http://www.nytimes.com/1996/11/19/science/paradise-lost-biosphere-retooled-as-atmospheric-nightmare.html. 2. Ross, Hugh. Improbable Planet: How Earth Became Humanity's Home. S.L. : Baker Book House, 2017. 24. Print. 3. Davies, Paul M. "Templeton Prize Address." Paul Davies Web Site. Arizona State University. 23 January 2010 http://cosmos.asu.edu/prize_address.htm. William Lane Craig is one of Christendom's most effective spokesmen arguing for God's existence. 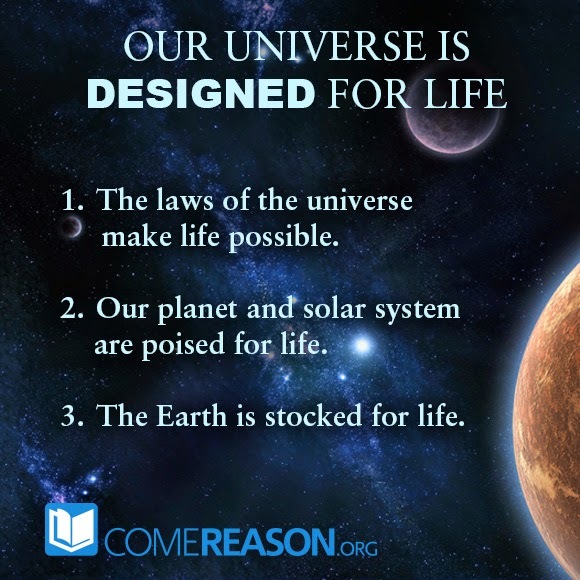 One of his famed "five arguments for God's existence" is the fine tuning of the universe for intelligent life. But the term "fine-tuning" really falls very short of just how precise the initial conditions and the universal constants are that allow us to live. They are infinitesimally fine numbers. Before I share a few examples of fine-tuning by way of physics, here are some numbers to help us to appreciate the delicacy of the fine-tuning. The number of seconds in the entire history of the universe is around 1017 (that's 1 followed by seventeen zeroes: 100,000,000,000,000,000). The number of subatomic particles in the entire known universe is said to be around 1080 (1 followed by eighty zeroes). These are simply incomprehensible numbers. Being mindful of those numbers, consider the following: The force of gravity is so finely tuned that an alteration in its value by even one part out of 1050 would have prevented a life-permitting universe. Similarly, a change in the value of the so-called cosmological constant, which drives the acceleration of the universe's expansion, by as little as one part in 10120 would have rendered the universe life-prohibiting. Now here's a corker: Roger Penrose of Oxford University has calculated that the odds of the universe's initial low entropy condition's existing by chance is on the order of one chance out of 1010 (123), a number which is so inconceivable that to call it astronomical would be a wild understatement. The fine-tuning here is beyond comprehension. Having an accuracy of even one part out of 1060 is like firing a bullet toward the other side of the observable universe, twenty billion light years away, and nailing a one-inch target! The examples of fine-tuning are so many and so various that they aren't likely to disappear with the advance of science. Like it or not, fine-tuning is just a fact of life which is scientifically well-established. But, you might say, if the constants and quantities had had different values, then maybe different forms of life might have evolved! No, that underestimates the truly disastrous consequences of a change in the values of these constants and quantities. When scientists talk about a universe's being life-permitting, they're not talking about just present forms of life. By "life," scientists just mean the property of organisms to take in food, extract energy from it, grow, adapt to their environment, and reproduce. Anything that can fulfill those functions counts as life. And the point is, in order for life so-defined to exist, whatever form it might take, the constants and quantities of the universe have to be unbelievably fine-tuned; otherwise, disaster results. In the absence of fine-tuning, not even matter, not even chemistry, would exist, much less planets where life might evolve. Yesterday, I began a discussion on how the universe is finely-tuned for human existence. We started with an analogy of being lost in a wood and stumbling onto a life-saving cabin. Then, I noted that just like our cabin, we see three key areas that are necessary for our shelter to sustain life. If you haven't read it yet, make sure you do. Last time we looked at how the area is just right - that is the laws of the universe allow life to exist. Today, I'd like to look more closely at the other two features that make life possible: our solar system is built for life and our planet itself is just right. Going back to our cabin analogy, it's not merely that the area where the cabin is built is just right for you to survive—the cabin itself has to be made the right way with the right materials, otherwise it will do you no good at all. Imagine if the cabin had huge holes in the walls and ceiling. It would let the heat and the cold in and not sustain your life. Imagine also if the cabin was made out of paper or sand, which would quickly give way to the wild beasts outside or simple erosion. None of these situations would be of benefit to you when you needed it most. Our sun is also the right kind of star. Did you know that 95% of stars in the universe are smaller than our sun?6 Planets need to be closer to smaller stars in order to get enough warmth for life, but when planets do get closer, the star's gravity keeps one side of the planet constantly facing toward it, freezing out the atmosphere. If our sun were much smaller, it wouldn't put out enough heat, and if it were larger, it would be so hot that it would sterilize the planet of all life.7 And because our sun is not too red (which would also make it too cold for life) or too blue (which would burn too quickly to sustain life), we are able to exist.8Everything seems to be not too hot nor too cold, but just right for life to exist on this particular planet. There are many other examples of how our solar system is perfectly fit for life, but these will do well for a start. This is why Ward and Brownlee write, "With the best of intentions, but limited by natural laws and materials, it is unlikely that Earth could ever truly be replicated. Too many processes in its formation involved sheer luck." 10 You can see why Paul Davies calls the Anthropic Principle, "the Goldilocks Principle." Just as Goldilocks found to porridge and the bed that suited her, we've stumbled onto a cabin that suits us perfectly. We've talked about the area being right for our cabin and the cabin being built properly to sustain us, but both those things wouldn't do us much good if we had to ride out several months of winter in a cabin not stocked with all the things that keep us alive. So it is with the Earth. It's not enough that it be in the right place with the right laws in the universe; it also has to protect and provide the ongoing sustenance for any life that may be found here. But yet again, we find that the Earth is just right to allow mankind to not only live, but to thrive. For example, the fact that our planet is 70% water has a major impact on supporting life. If there were too much water, then no dry land would appear to allow advanced life. Too little water and the temperatures on Earth would vary too drastically for advanced life to thrive. Whereas most substances have very predictable behaviors based on their molecular construction, water seems to be unique in how it violates these expectations. For example, changing from a liquid to a solid means that as the molecules of most substances slow down, they get closer together, making the material heavier in its solid state. However, water does just the opposite: just before it freezes, it expands, allowing ice to float on liquid water. If this didn't happen, then all of the Earth's bodies of water would eventually freeze from the bottom up. But instead of freezing, the ice provides a cover over the liquid water, helping to retain the liquid water and therefore also adding to its stabilization of the surface temperature of the Earth. Indeed, the mountain of such factors points to the fact that someone "rigged" the system. Perhaps some of these factors are found elsewhere in the universe — there are other spiral galaxies and yellow suns, though not plentiful, that do exist. However, I think that when taken together, this evidence implies much more than mere coincidences. Robin Collins quotes philosopher John Leslie correctly saying, "Clues heaped upon clues can constitute weighty evidence, despite doubts about each element in the pile. "15 If the universe itself is put together correctly to support life, then we can't stop at the universe as an explanation for our existence. We have to go to something or Someone who existed before the universe, Who designed the universe with the purpose of creating it so humanity can live and thrive in it. The design of the universe argues for the existence of God. 12. Adapted from Hugh Ross' table 4.5 in "Astronomical Evidences for a Personal, Transcendent God." Moreland, J.P. 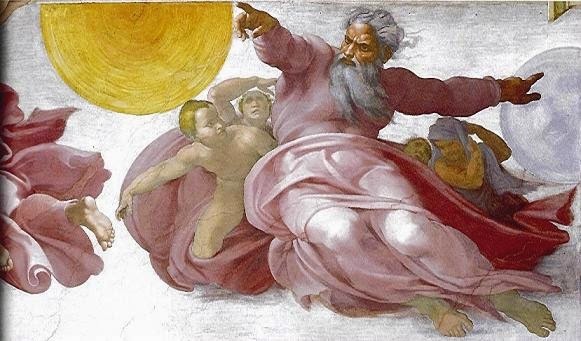 The Creation Hypothesis: Scientific Evidence for an Intelligent Designer. Downers Grove, Il: InterVarsity Press, 1994. 165-169. 15. Collins, Robin. "A Recent Fine-Tuning Argument." The Philosophy of Religion Reader. Ed. Meister Chad. New York: Routledge, 2008.